There are numerous photos on Pinterest that feature gorgeous Japanese homes with minimalist styles, lots of wooden furniture and parquet flooring. The beauty of Japanese-inspired interiors lies not only in their aesthetics, but also in that it can be applied in any home, be it a small apartment or a spacey bungalow. If you are looking to add a touch of Japanese style to your home, here are some must-know elements of a typical Japanese home that may be of assistance to you. Uncluttered, clean and open spaces with no walls dividing the living and dining area or the kitchenette; that is the classic look of a Japanese home and it serves a functional purpose in that because most apartments in Japan are small, having an open space concept will make the home look and feel more expansive and larger than it really is. It also provides a streamlined and seamless silhouette to the home which fits in perfectly with the concept of minimalist style. You will find that many Japanese homes contain elements of wood and bamboo and this is in tune with their culture of having nature fundamentally playing a big part in everyday life. Ultimately, functionality and aesthetics are what results from using woods such as cypress and pine, as well as bamboo; it is organic and environmental-friendly, and looks wonderful. You can opt to go for wood everywhere by installing wooden screens to replace doors, have wooden cabinets built into the walls in the kitchen, wooden flooring and selecting wooden furniture. 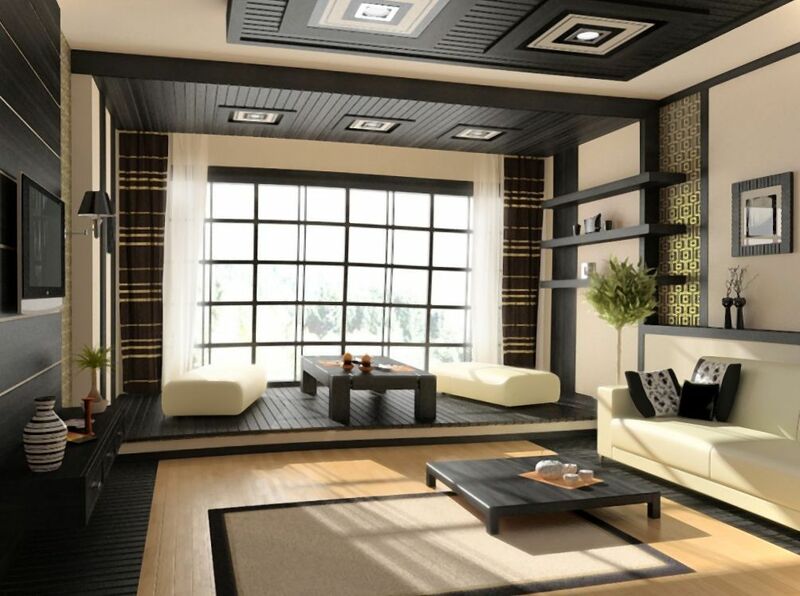 The Japanese are a practical bunch and this is evident in their home interiors as well. 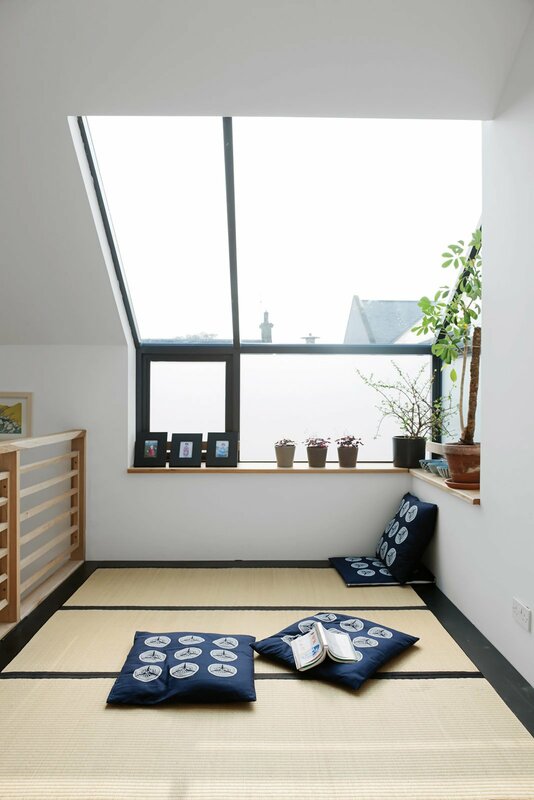 Most homes in Japan have large windows that allow optimal sunlight to shine in. These windows are free of heavy and clumsy drapes, and in their place, thin window panels or blinds are chosen instead. 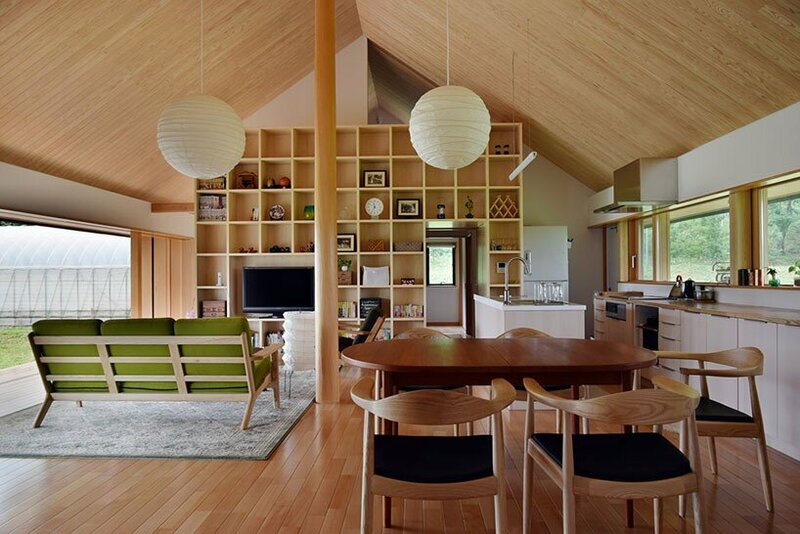 Some homes even have an opening in the ceiling to allow natural lighting to come through. Together with natural lighting and wood, water is another natural element that plays an important part in Japanese homes. Whether it is a water fountain or an open faucet, the sound of water evokes a calmness that aids in soothing a frazzled and stressed mind which is why most, if not all, Japanese homes have a bath tub in their bathrooms. 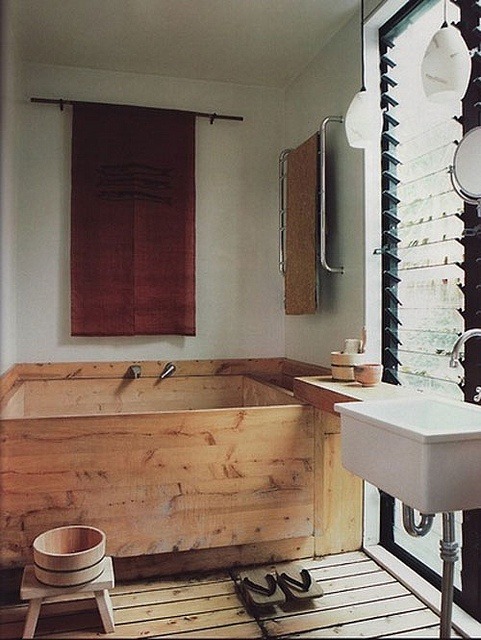 Japanese tubs are very different from the typical Western style ones as they tend to be smaller, making them more suited to the smaller bathrooms in most Japanese apartments. 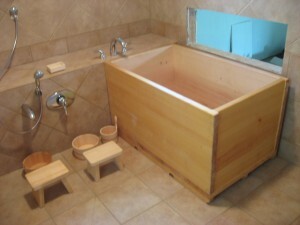 It is common to find seat-style tubs that are able to only fit one person and most Japanese tubs are made from bamboo or wood. The Japanese have mastered the art of incorporating simplicity, aesthetic design with functionality and nature. Infuse your home with these elements and you will soon find that your mind, like your home, will be free of unnecessary clutter as well.